Maintaining a successful 10-year long career in dance music (is it really that long?) 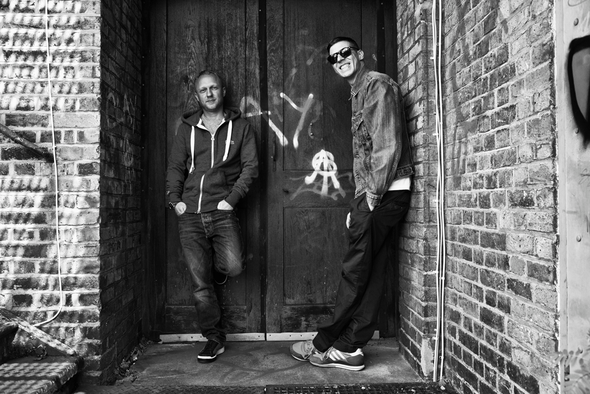 is no mean feat and The Shapeshifters (AKA Simon Marlin and his Swedish partner Max Reich) have not only managed to stay fresh throughout the course of their career, but they are possibly one of the UK's most successful dance acts ever. Their hits include the classic ‘Lola's Theme’ to ‘Back To Basics ‘and ‘Incredible’ and don’t forget the remixes for the likes of George Michael, Christina Aguilera, Moby and Cee Lo Green amongst many others. This year marks the 10th anniversary of Simon and Max’s musical partnership. It also marks the 10th anniversary of the release of their anthem ‘Lola’s Theme’; the ubiquitous track that kick-started the duo's career, reaching No.1 in the UK and becoming a hit across the globe back in 2003/4. No seriously, is it really that long as we remember interviewing them for a magazine for ‘Lola’s Theme’, after getting the instrumental sent to us via Paul Farris’ (think that was his name) promo company. To celebrate, The Shapeshifters are curating a new LP - ‘Analogue To Digital…And Back Again’ - from which they will release a brand new mix of ‘Lola’s Theme’ as a single. The LP will be a double-disc affair, featuring a collection of exclusive remixes from a variety of artists, including Frankie Knuckles alongside Laidback Luke, Nic Fanciulli, Full Intention and Little Boots, plus a selection of their own remixes of acts including Empire Of The Sun, Christina Aguilera and Moby amongst others. The collection will also include three exclusive new original tracks. It’s out May 27 on Nocturnal Groove.